Join us for a winter skills course based in the Cairngorms and around Drumochter, where you'll learn the hill skills needed to go winter hiking with us in the Scottish mountains. A winter skills course designed for the summer walker keen to aim onto the Scottish hills in winter. Over two days we'll introduce and develop the basic winter skills required to get the most out of mountain hikes with snow and ice. Find out how to deal with wind-chill and snow injuries. Discover how avalanches happen and examine snow and ice structures. A winter skills course based in the Cairngorms and held over two days with one of our experienced and qualified leaders. The course aims to build your knowledge and give you confidence to hillwalk in the Scottish Highlands in winter conditions. Our second day is designed as a lead-on from Saturday and will consolidate skills, whilst having some fun. The location of our second day will be confirmed after our skills day and will be determined primarily by the weather - we'll try and find a few Munros with some great winter conditions. We'll look at snow and ice structures in detail and examine how avalanches happen and, most importantly how to avoid them ! Saturday's day getting to grips with winter skills basics is classed as 'moderate'. Sunday's hike is classed 'demanding' primarily due to the possible effort required hiking through snow. 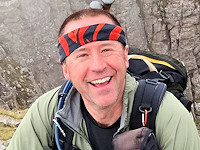 To join this guided hiking weekend, we ask that you have a decent level of fitness, have done a good few summer hillwalks and had exposure to 'British mountain weather'. Leading the event on 12-13 January'19, 26-27 January'19 and 9-10 February. 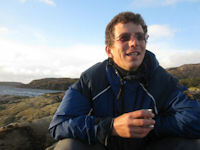 MLS and MLW qualified, John is passionate about the Scottish mountains, and enjoys taking people to new places and helping them to share the experiences that fire him. Leading the events on 19-20 January'19 and 2-3 February'19. Leading the events on 16-17 February.